Should we have better access to defibrillators? As part of our series of blogs about the upcoming vote on WI resolutions for 2015 (for more details, see our earlier blog post), we turn our attention to public access to defibrillators. We’re writing these posts to kick-start the debate about these issues in advance of our December meeting; they don’t reflect any particular view or an ‘official’ view of the Sotonettes Committee so please read them with that in mind. We want to know what our members think so please let us know on Facebook or Twitter. Sudden cardiac arrest is one of the leading causes of premature death in the UK, but with early intervention many lives could be saved (Resuscitation Council UK, 2013). Not all causes of cardiac arrests can be treated with the use of a defibrillator, but many can and having access to such equipment in public places such as shopping centres, sports centres, places of work and even supermarkets, could increase the chance of survival along with immediate contact with emergency services and the use of cardio-pulmonary resuscitation (CPR). Defibrillators used in public places are known as PADs (public access defibrillators) or AEDs (Automated External Defibrillators). Essentially, these devices do the work for you and have easy to follow, spoken instructions. They are specifically designed to be used by members of the public with little or no training. The device will tell you if the person’s heart rhythm is ‘shockable’ or not and will only shock the individual if in the correct heart rhythm to do so, so they are safe to use too. Currently in the UK 60,000 people per year suffer a cardiac arrest outside of a hospital, but only 1 in 10 people survive (British Heart Foundation, 2014). Early intervention and defibrillation is vital for their survival. The optimal time for defibrillation is only a few minutes after onset and for every minute CPR and defibrillation is delayed, the chance of the victim’s survival falls by 10% (British Heart Foundation, 2014). After cardiac arrest, if a person only receives CPR, their chance of survival is only 5%. However, with defibrillation, the survival rate increases to 50% (Community Heartbeat). The British Heart Foundation believe in having more access to defibrillation increases the chance that the process for saving a life is followed and therefore, the better the chance of survival. This initiative can save many more lives. 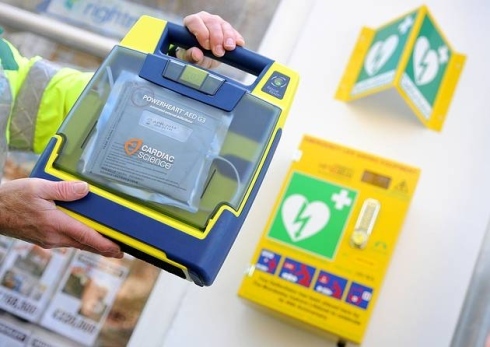 The invention of public defibrillators has been described as the single most important development in treatment of sudden cardiac arrest (Resuscitation Council UK, 2013), and wider access to these devices in public places could help to improve cardiac arrest survival rates in the UK.